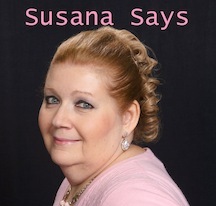 Thanks, Susana, for allowing me to come by and share a little about my story for the Beaux, Ballrooms, and Battles anthology. When I first started thinking about what I wanted to focus on in my style, I knew I wanted a sassy, feisty heroine because they are always fun to write. 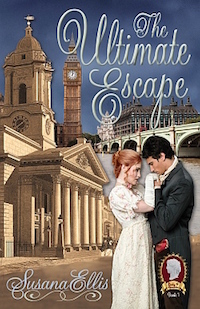 Of course, when I chose such a heroine, I knew she would have to get in some kind of trouble and what better scandal than to make a spectacle of herself at Lady Richmond’s ball? I also wanted a hero who could bring balance to the heroine’s life. Jeremiah is a strong, silent type but I think they go well together. She takes him out of his comfort zone and he reins her in. Well, no, not really. He doesn’t. Ha ha. One of the things I’ve always found intriguing about the run up to the battle is the fact that Lady Richmond had this gala right on the eve of the engagement and Wellington was encouraging her to go forward. Of course, today, we know he was doing that so people wouldn’t panic and try to evacuate thus clogging the roads and holding up the troops. Jeremiah wonders about the Duke’s motive in allowing the ball to occur in this story. He thinks they should be readying for battle, not flirting and dancing but he’d never question his commanding officer. A chance encounter during the battle of Quatre Bras changes Captain Jeremiah Denby’s life forever. A member of Wellington’s staff, he fulfills his duties to king and country through the surrender of Boney at Waterloo but then must decide how to reconcile his new life with his old. 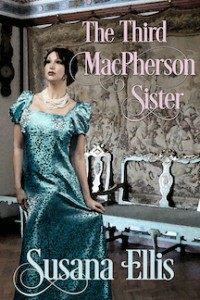 Emmaline Rothesay has a battle of her own to fight. To her lady mother’s dismay, Emmaline has had her eye on Captain Denby as a potential suitor. 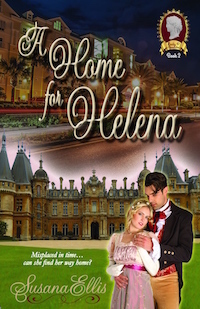 Now that his changed circumstances after Waterloo could cause a scandal, Lady Rothesay is even more set against any relationship her daughter desires with the man. 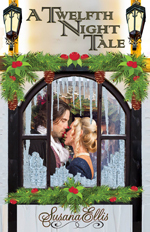 Emmaline finds herself at war with her mother and maybe even the captain himself. 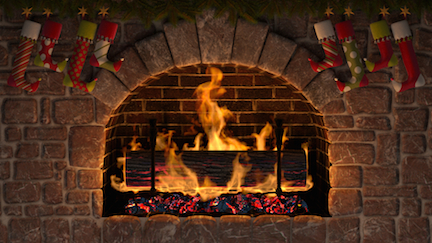 Leaving Lydia behind, Emmaline pulled Jeremiah to one side and once they stood close to the wall she pulled her lace-edged hanky from her where she’d tucked it in the end of her sleeve and tried to hand it to him. “What’s this?” He stared at it as it hung in the air between them held up by her index finger and thumb. “Proper or not, I’m offering this to you as a token of good will and my hope that you will survive the next days. Surely you won’t turn me down?” Tears welled in her eyes, blurring her vision. Had she misunderstood the way he’d looked at her? Did he hold her in no regard at all? Jeremiah’s face turned red. Emmaline couldn’t tell if it was from embarrassment or anger. A little intimidated, she took a half step back and almost collided with one of Lady Richmond’s friends. 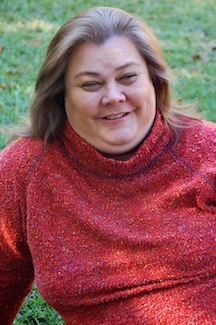 Jillian Chantal is multi-published in the romance genre. She’s a lawyer by day and writer, amateur photographer and history buff by night. Jillian lives on the beautiful gulf coast of Florida and loves her little slice of paradise. But not too much to enjoy world-wide travel every chance she gets. After all, a writer and photographer needs new and exciting places to go and capture in order to stay fresh, right? And there’s nothing quite like seeing historical places in person, is there? Jillian loves to hear from readers. The bicentenary of the famous battle seemed like an excellent opportunity to use that setting for a story, and before we knew it, we had nine authors eager to join in, and on April 1, 2015 our Waterloo-themed anthology was released to the world. 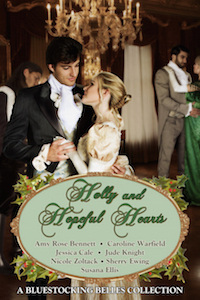 Beaux, Ballrooms, and Battles: Release Day! 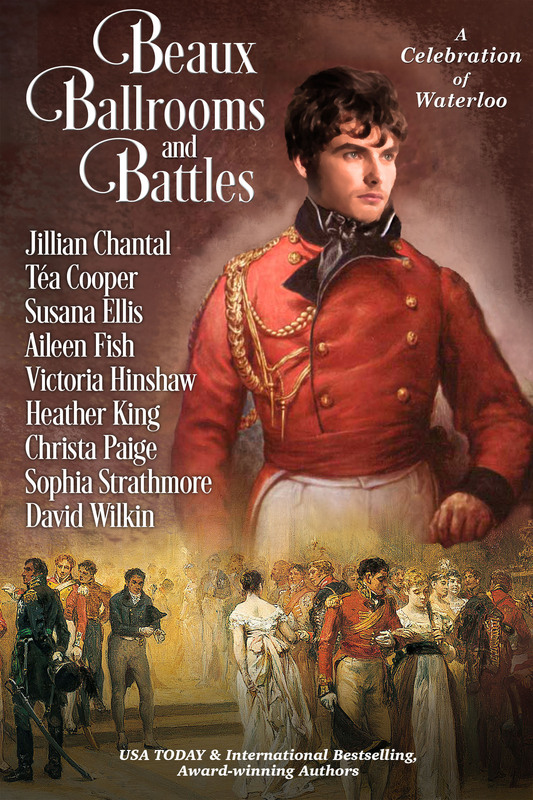 The bicentenary of the famous battle seemed like an excellent opportunity to use that setting for a story, and before I knew it, I had eight other authors eager to join me,and to make a long story short, today our Waterloo-themed anthology has been released to the world. Up until the early 19th century, spying was considered an odious and ungentlemanly occupation and few officers would agree to do it. 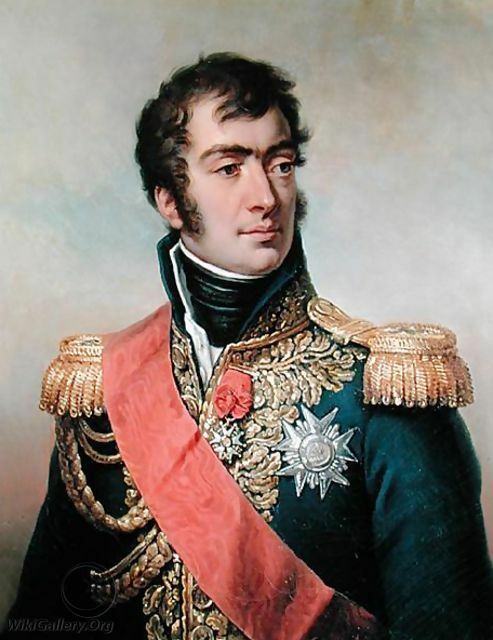 But by the time the 19th century rolled around, with the spreading of Napoleon’s empire on the continent, General Brownrigg, the Quartermaster-General of the British Army, went to the Commander-in-Chief, Frederick, the Duke of York, to propose that army develop a unit called the Depot of Military Intelligence, and it was done. The problem was—nobody wanted to do it. Exploring officers had to be fine horsemen, skilled linguists, and able to express themselves in sketching and writing in the most concise terms. With the assistance of local inhabitants, they would map the countryside four miles to the inch. That done, they would move behind enemy lines, learn troop movements and strategic information, and return to disclose this information to Wellington. John Waters of the Royal Scots was known as a wily and capable man behind enemy lines. However, he was caught by the French and given up for dead by his regiment. When a man dies, his personal possessions are generally auctioned off to his comrades, but Wellington forbade this, saying that “Waters should be back and would want his things.” And he was right. Waters did come back and supposedly did want his things back. Most exploring officers wore their uniforms, since soldiers caught behind enemy lines out of uniform was immediately shot as a spy. John Grant was one of the few who went in disguise. He became very friendly with the Portuguese people and adopted their local dress, much to the horror of his fellow officers. After the war, instead of being lauded for their risk-taking, these courageous men were shunned by their former regiments as “gadabouts” who were not really engaged in the business of war. The youngest of eight brothers in a family from the Scots aristocracy, Grant was commissioned into the 11th Foot in 1795. 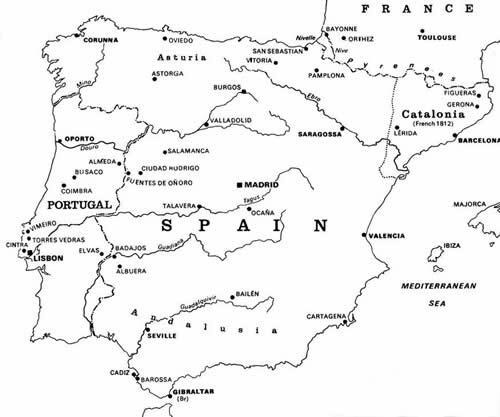 In 1809 he was posted to the Iberian Peninsula under the command of Arthur Wellesley, who in 1810 appointed him to his personal staff as an exploring officer in the Peninsula Corps of Guides, a special reconnaissance unit who spoke the local languages. Grant was captured by French forces on 16 April 1812. As he was in uniform he was treated as an officer and gentleman by his captors, who offered him parole, which Grant accepted. Grant was invited to dine with Marshal Marmont who hoped to find out more about Wellington, and who was angered by Grant’s reticence. Marmont had good reason to remain suspicious of Grant, as the latter managed to send and receive secret messages while in captivity. Marmont sent Grant to Paris for interrogation. It is clear from Marmont’s correspondence that he had no intention of exchanging Grant for a prisoner of equal rank among the British, as was the custom of the time, considering him to be a spy. Grant, on seeing a copy of Marmont’s letter, decided that it invalidated his agreement to parole and left him free to escape. Grant was able to avoid recapture by passing himself off as an American officer, and spent some weeks at liberty in the streets and salons of Paris, sending intelligence reports to Wellington. 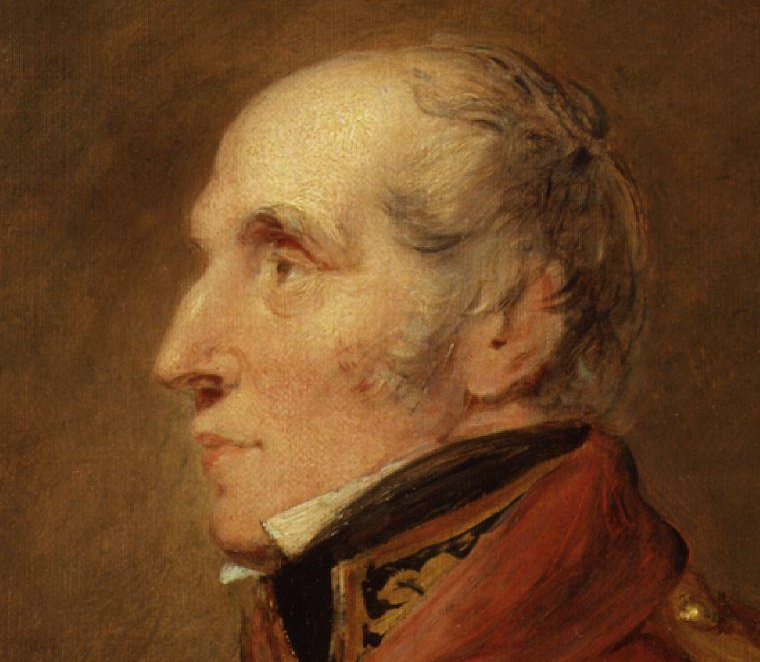 He then escaped to England, rejoining Wellington in early 1814. Promoted to lieutenant-colonel he was appointed commanding officer of the Corps of Guides and Head of Intelligence for the Peninsular Army. 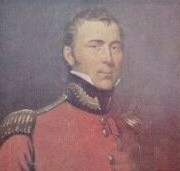 During the Hundred Days Campaign, Grant was working as intelligence officer in France when Wellington put him in charge of his own intelligence operations. Grant sent in a steady stream of reports regarding the build-up of French troops along the border and returned to Brussels in time to take part in the Battle of Waterloo on 18 June. Rupert Ellsworth, the hero in story in the Beaux, Ballrooms, and Battles anthology, is an exploring officer in Wellington’s army in 1812 when he decides to disguise himself as a French soldier following the Battle of Salamanca. Unfortunately, he’s not the greatest horseman and falls off the untrained French horse and hits his head on a rock. Fortunately he is discovered soon after by Catalina, a local girl, who takes it upon herself to nurse him back to health. One thing leads to another and it isn’t long before the pair fall in love. But Catalina is not a whore and Rupert has promised his father to marry a “suitable English girl,” so the future for them looks grim. Between one thing and another, the two are separated… to be reunited several years later in Belgium just as another war is brewing. Circumstances for both of them have drastically changed, and Rupert is bound for the battlefield. Will there be a future for them or is it too late? On the night of the 30th Anniversary of the Battle of Waterloo, Aimée, Lady Prescott, reminisces about meeting her husband in Bruxelles on the eve of the fighting. 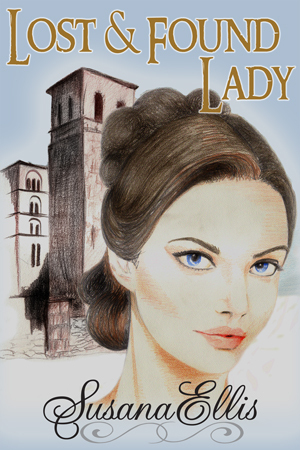 She had avoided the dashing scarlet-clad British officers, but she could not resist the tempting smile and spellbinding charm of Captain Robert Prescott of the 16th Light Dragoons who—dangerously to Aimée—wore blue.